Just wanted to let you all know that miraculously, I got into MD Anderson for August 13th!! Even though they don't think the appointment will be as helpful because I'll have already started a treatment plan, I can't imagine that it's not malleable in some way, especially the second and third stages of my treatment plan! Thank you all for your suggestions and support, they encouraged me to move forward with something crazy! Great news!!!!!!!!!!!!!! If you are not able to start chemo till 8/8 anyway...that is only a few days difference till MD Anderson...maybe wait till you get there??? I am not suggesting that is what you should do only putting the idea on the table. MD Anderson is kind of like getting to take your case to the Supreme Court- the highest authority on all cancer, really in the world. I tried to explain to my TNBC friend that once you start with one oncologist's plan - you can't take back what ever has already gone in you. You are kind of committed to some degree. That is why a second opinion is best before you start, not when there is a problem a couple of chemo sessions in treatment plan. What you say is true, but honestly, because of the pregnancy, I'm fairly limited at the beginning of treatment. Most likely only my third stage of chemo can be altered as it stands. Also, a friend of ours used their flight points from a credit card! We're flying for free! Bless all these people who are helping us! I am new to this site. My sister was diagnosed almost 3 weeks ago with Triple negative invasive ductal breast cancer. She had surgery to remove the tumor, but the margins were positive so she had to have another surgery. They removed 4 lymph nodes and they were a positive negative meaning that there were cancer cells present but they were so minutely present that it was considered negative. She went to the dr yesterday and the margins are negative so they are proceeding with a treatment called SAVI. Any info that you can provide will be so appreciated. She is scared to death of corse, and overwhelmed. Welcome LisaJo, I'm so sorry for your sisters diagnosis. It's wonderful she has a caring involved sister! The support I got from friends and family thru treatment was the only bright spot thru my ordeals, your sister is lucky to have you! My mother, who is 84, is in remission for ovarian cancer. She now needs a mastectomy for TNBC which they think is stage 2. She is considering not having the chemo because of the side effects from the chemos (last session was June 26th) for the ovarian cancer. Is there anybody on this site that had a mastectomy without chemo and had success? We are in New York and also looking into other trials that have less side effects. Thank you for your response. Since my initial post treatment plans have changed. They are no longer doing the SAVI. They are now doing full radiation of the breast. They will begin with Chemo and radiation will follow. great initiative, glad the site is still growing strong since inception!! My mom has been recently diagnosed with Triple Negative Breast Cancer IDC stage 2, 3.5 cm tumor. She has had a lumpectomy with good margins. They want to start chemotherapy right away, but she is considering not doing it because of the side effects. Is anyone struggling with the same issue. Either decision does not guarantee anything. Not sure what to do? Unfortunately there is no targeted therapy for TNBC. The only options we have are surgery, chemo and radiation. You are right, there are no guarantees. I can only say you get one chance of trying to beat this the first time. Give it everything you've got and hope for the best. TNBC is aggressive and more likely to spread through the lymph and vascular system than other breast cancers. Chemo and radiation are used to hopefully kill any cells that might have escaped the tumor. I had both chemo and radiation and I have to say that the hype was worse than the reality as far chemo was concerned. I did have a few hard days with vomiting, but the drugs they have to combat the nausea are awesome--they've come a long way! Knowing how aggressive TNBC can be, I wouldn't have been comfortable not giving it my best shot at survival. Just my opinion--everyone has to decide for themselves. Best of luck to your mom!!! Almost to the 2 year mark! I'm Sherry from Wylie, TX, suburb of Dallas. I was DX with TNBC December 2017. Dissection 1/2018. Stage IIB, Grade 3, 1.2 cm with satellite tumor .5 cm. 1 of 3 nodes positive. 4 cycles of Taxotere/Cytoxan and 33 cycles of radiation. Prognosis was not great. Chemo and radiation gave me 72% survival rate. I'm white, 65 yrs, relatively healthy, slightly overweight, no history of breast cancer in family. BRAC 1 & 2 negative. Daughter, 39, diagnosed with DCIS in October 2017 & sister, 63, diagnosed with ALH in January 2018. Glad to find this group. I am at reconstruction stage, but 1st visit to plastic surgeon was disappointing. His only recommendation was a breast lift and reduction in size of the healthy breast due to radiation and supposedly because the oncologists don't like fat grafts due to calcifications. Am due to see original breast surgeon and 2nd opinion. I was diagnosed 6/21/18 with stage 1 IDC, triple negative breast cancer. I found out soon after that I was also BRCA 2 positive. I had a bilateral mastectomy 7/25/18 with no lymph node involvement and the beginnings of reconstruction. I had a hysterectomy (prophylactic because of BRCA 2) and further reconstruction on 9/21/18. It has been a medical whirlwind the past few months. I was told that I did not need any further treatments (radiation or chemotherapy). This news pleased me, but also worried and still worries me. I spoke at great length to my oncologist but she said that because of the size, aggressive surgery and no node involvement that chemo would cause more harm than good. She even showed me the stats from the NCCN Guidelines that backed her opinion. I am curious to hear from anyone else who also didn't need further treatment? The BRCA 2 confirmation for me was not too traumatic, but my daughters (26 & 24) were also tested. One tested positive and one negative. That is harder for me to deal with for my daughter to have to deal with some bad genetics. I am still trying to understand as much as I can about my diagnosis. There is a steep learning curve with a diagnosis. I was told early on that I was triple negative. I understood that my cancer did not have hormone receptors and therefore could not be treated with hormone based meds. I did not understand the seriousness of triple negative. I am still learning. I have been very lucky to have a loving and supportive husband, daughters, family and friends through out my surgeries. I know I still have their love and support but now that the surgeries are done and I am not undergoing treatment I feel that my people feel my cancer scare is fine and over. Although I am feeling well physically, I am only now really grasping the emotional part of everything. I don't feel that anyone wants to hear about it. I am hoping to get to know people who understand not only the physical but also the emotional parts of this diagnosis. Emoser, I noticed I was much more emotional after treatment had finished for me (first time around) than when I was going through it. Many ladies I’ve talked to have said the same. I think we just bunker down and put our game face on, but when the game is over and you look back you see what you’ve just gone through in a different light. Especially when you start to feel good and normal again realizing just how low treatments took you. Many people think BC is so easy because it’s a common cancer and you hear about so many successful stories, but cancer stays with you mentally and emotionally NED or not. Many people come out of treatment with PTSD or another mood disorder actually. What you are going through is normal and might take some time to sort through. My wife had lymph nodes cancerous, so there wasn't any choice but to have chemo. I think you should trust your oncologist, and ask him/her what percentage in 5-year survival-without-recurrance is improved by having chemo. Dear Emoser17, I am a 12 year survivor of TNBC. I am not a doctor, but I have done a lot of research since having TNBC. Also, I volunteered for 8 years at the oncology clinic where I received my treatment. I never remember a single patient diagnosed with TNBC, not get chemotherapy. Since the cells travel through the vascular system they can escape into the bloodstream even with a early stage diagnoses. The reason for chemo is to seek out those rogue cell and kill them before they hide somewhere in the body and lead to recurrence at a later date. Also, not all oncologist are up to par in their knowledge of how to treat TNBC. It is a different animal from other kinds of breast cancer. ie ER, PR, Her2. The oncologist I had believed aggressive treatment from the initial diagnoses gave the best outcome overall. We only have 1 time to treat it aggressively and that is when we are first diagnosed. I will say that the emotional effects of the diagnoses and treatment become more pronounced as time goes by after treatment. My worst time was the first 5 years after I finished treatment. Some family and friends keep their distance when you need them most. I know now that they were afraid of what I would say if they asked questions. Even my own daughter did not know how to deal with the fact that I had cancer. In my case, my husband was such a strong support person for me that it made up for some of the others. It was a lonely time and I have been forever changed since having cancer. I am the new me, but it took time to fine the new me. After 5 years I began to be able to relax and believe that I was going to live. Dear, keep posting and let us share with you and support you through this journey. I will not sugar coat TNBC cancer, but with the help of supporters and God you can make it. i am falling apart after chemo. terrible anxiety , panic, fear and mild depression. fighting to get out of the house. what the heck? Hi I am new to site. I was dx with TNBCstage II B in June 2018. At time officials I had a 2.2 CM tumor in my breast and a 3.4 CM in a lymph node. I received 4 A/c followed by 11 Taxol. I didn’t receive Car k eve though I requested it. I was advised it could be used after surgery. I met with my surgeon yesterday and received latest results of my MRI which showed breast tumor shrunk to 1.6cm and lymph node to 3.0 cm. I was disheartened when I received the results. 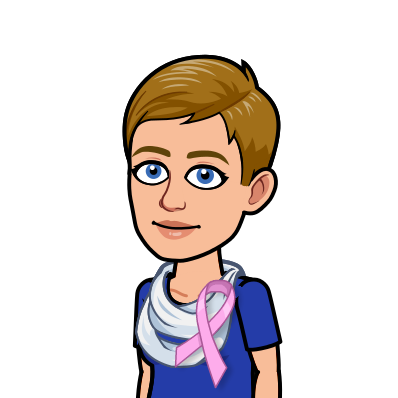 She advised me she was moving ahead with surgery later this month with plans to remove all of my lymph nodes in my right stem and a lumpectomy of right breast. My oncologist says she is not sure that the lymph node is is still infected despite the size of the tumor. She wants me to have the surgery and if there is still cancer there then she will add Carbo after surgery.. I only got 11 Taxol due to neuropathy setting in. Has anyone out there experienced this ? And if so can you give me feedback on if this is standard protocol or should I seek a second opinion?